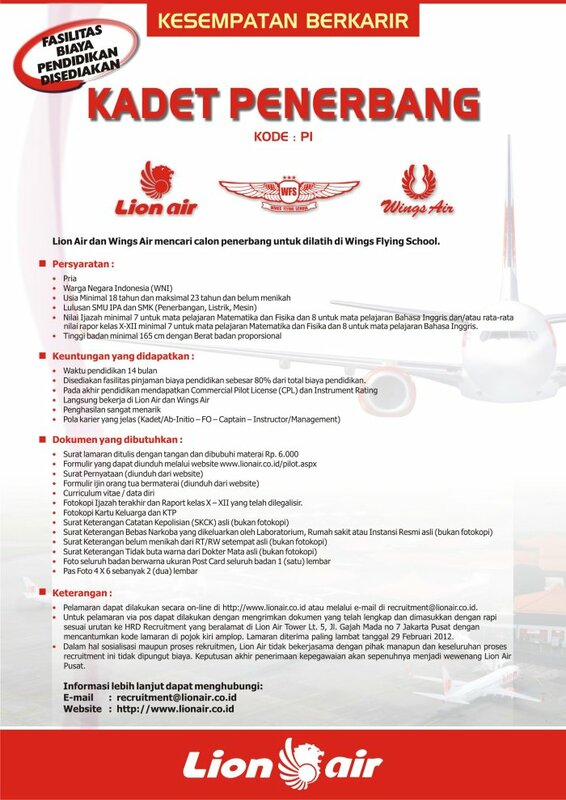 Lion Air, As one of the leading private carriers in Indonesia, we’re always on the look out for highly motivated and service oriented people who are ready to make their mark on our operations. All our people share our passion, energy, drive and commitment to exceed our customers’ expectations. The Lion Air promise is to put the customer and their experience of travelling with us on the forefront of everything we do.